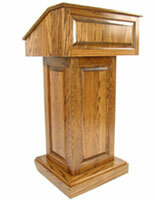 This convertible podium for a presentation is made of solid wood with a beautiful maple finish, drawing the crowd's eye to the front of the room where the speaker will be. This church lectern has a traditional appearance, but functions to support modern technology; i.e., the desk area drops flat from a slanted position to accommodate a laptop. 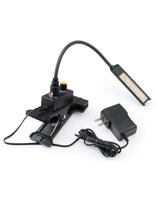 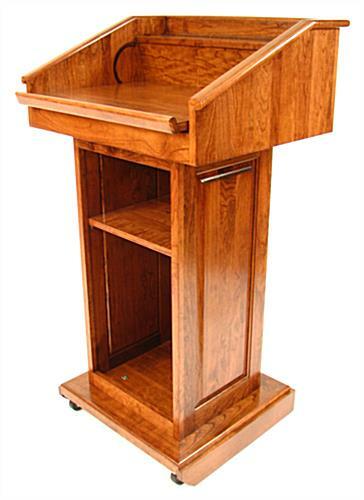 The portable speaking stand has much to recommend it for lectures on-the-go because the top is detachable and can be placed on any flat surface to become a full-service presentation stand. 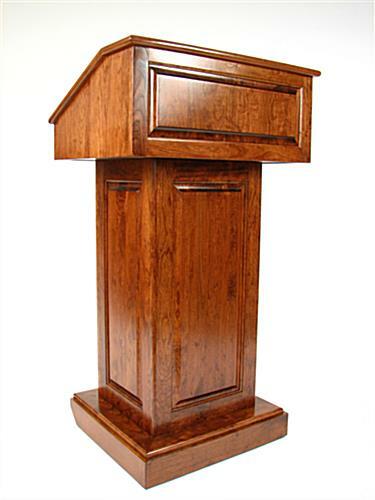 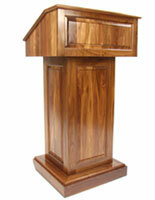 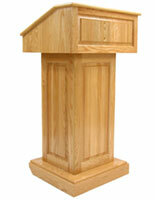 This convertible podium is made of real wood, not veneer, with rich grains and a solid feel whether set-up is in a hotel banquet hall, the State House, or a school. 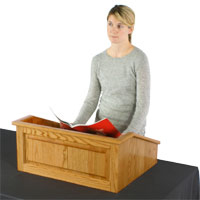 Assembly is easy! 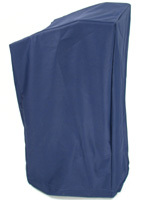 Just line up the three holes in each section, insert the plastic T-shaped screw into the bottom of each. 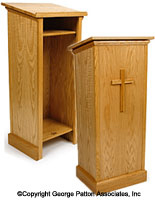 Remove the top of this unit and use it as a countertop pulpit. 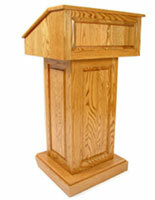 Remove the 3 "T" nuts connecting the top to the center column, placing it on any platform.